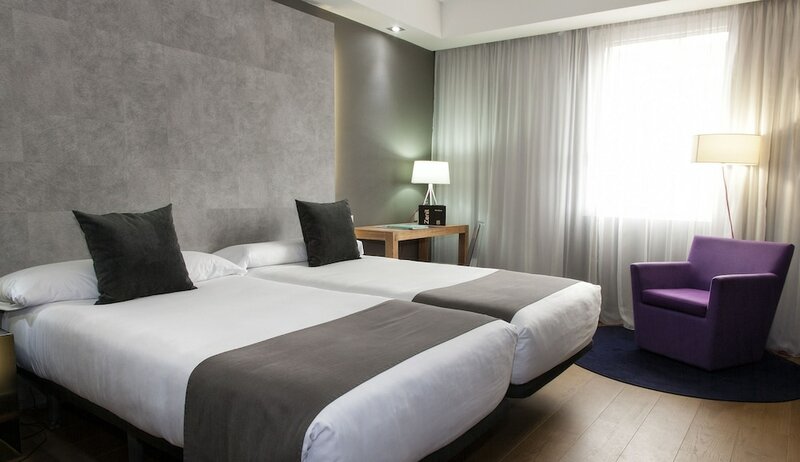 Located in Madrid (Hortaleza), Hotel Zenit Conde de Orgaz is within a 10-minute drive of Palacio de Hielo and Arturo Soria Plaza Shopping Center. This 4-star hotel is 2.3 mi (3.7 km) from IFEMA - Feria de Madrid and 2.5 mi (4 km) from Olivar de la Hinojosa Golf Club. Make yourself at home in one of the 89 air-conditioned rooms featuring minibars and LED televisions. Complimentary wireless Internet access is available to keep you connected. Private bathrooms with bathtubs or showers feature complimentary toiletries and bidets. Conveniences include phones, as well as safes and desks. Take advantage of recreation opportunities such as a fitness center, or other amenities including complimentary wireless Internet access and wedding services. This hotel also features a television in a common area and tour/ticket assistance. Enjoy international cuisine at Bouquet, a restaurant which features a bar, or stay in and take advantage of the room service (during limited hours). Buffet breakfasts are available daily from 7:30 AM to 11 AM for a fee. Featured amenities include express check-in, express check-out, and complimentary newspapers in the lobby. Planning an event in Madrid? This hotel has facilities measuring 3929 square feet (365 square meters), including conference space. Self parking (subject to charges) is available onsite.